Saima Khan founded Saima Says Design in 2006, to express her passion for fine materials, exquisite design and distinctive experiences. After earning a degree in graphic design from Maryland Institute, College of Art in Baltimore, Saima worked for top design firms in the Baltimore-Washington area. 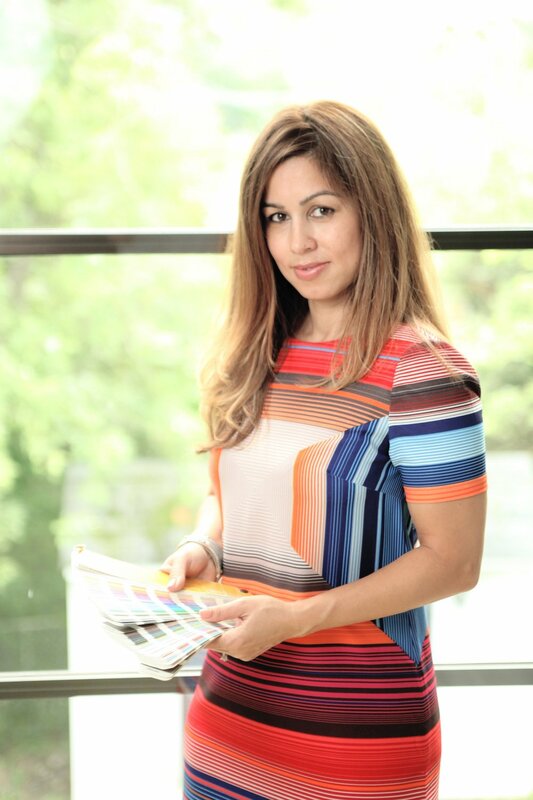 She has created designs for Saks Fifth Avenue, Little Me Childrenswear, Target, Cargill and The Nishat Hotel, A St. James Hotel London, just to name a few. her work has been featured in bizbash, the washington post, washingtonian, grace ormonde, dc modern luxury and other reputable publications. Saima's cross-cultural heritage has taken her to many parts of the world, and has ignited her love for travel, art, architecture and design. Copyright © 2018 Saima Says Design, LLC. All Rights Reserved.